. behaviour, speech, or writing that is pretentious and designed to impress.
. a studied display of real or pretended feeling. 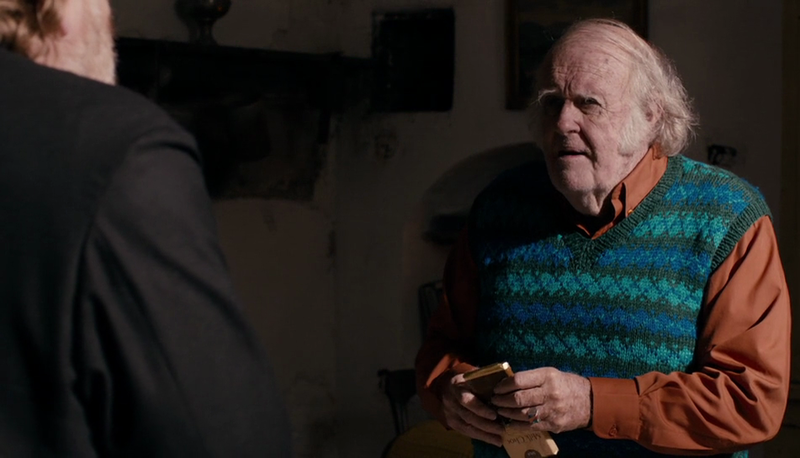 M. Emmet Walsh at a Royal Arrow portable typewriter, as 'The Writer' in Calvary. "Hi all. I've been interested in securing some sort of typewriter for myself for a few years now, just don't really know where to look. I also have no clue what I'm looking for. I just want the ol' time, key-punching experience on my escritoire. There's nothing romantic about tapping it out on a MacBook keyboard, I'm sure most of you'll hear me on that." "You need to decide if you want a manual for street cred, or an electric one that can actually be used." 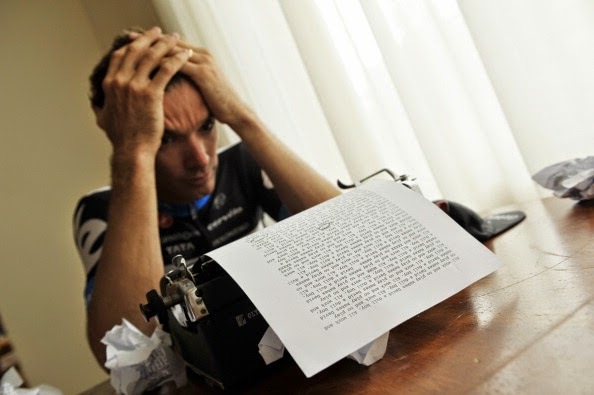 "Though I know a lot of people who would disagree, there's nothing romantic about suffering with a typewriter (and you will suffer) when better technology exists. Using a typewriter is more of an affectation at this point, unless you grew up typing on them and it's a natural thing for you. Just having one to have one is cute, but it will end up being a dusty knick-knack on your escritoire a month after you get it, I'd bet money on that." "When old people die the family will sometimes sell the old useless artifacts and that will usually include a typewriter or two." "Here in Portland I saw at least a dozen at yard or garage sales, and even one or two at some of the more hipster-friendly thrift shops. I wanted one a few years back before I moved out here because I was reading about Hunter Thompson dragging his all around the country chasing after the Beats ... but then I used one and hated the experience the whole time. Well, not the WHOLE time. But most of it." "As a bumbling fool when it comes to techno-stuff, I like typing something & it not disappearing if I hit the wrong key ... or lose a disc or whatever. 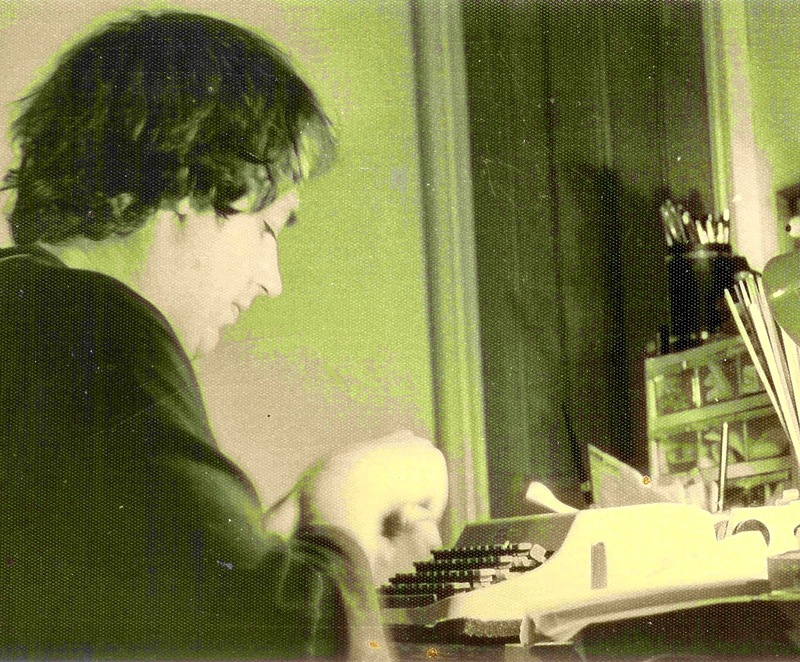 I started writing on a typewriter about 15 years ago, and I still do quite a few first drafts that way. 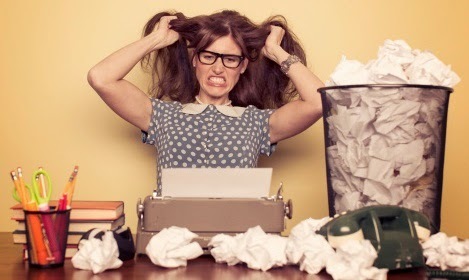 But I do the 2nd drafts on a computer, as the ease, in terms of editing, can't be overstated. I also like typing letters on the old beast. Servicing it can be tricky and expensive (if it's broken), and you can't find new ribbons at Wal*Mart ... but I don't mind the inconvenience." "I have one that weighs about four metric tonnes, but aside from her big booty I do love the way she spreads it on the page. Of course, as others have said, she can be a real pain in the arse at times. For example when six hammers (is that what you call 'em?) stick together, or when you have to hit that troublesome key 10 times to get the ink clear, only to end up with a messy blob. I find using a typer makes the writing process more physical (if you have an old beast like me), but in the end I always go back to my Mac as she may not be as much fun, but she is easy. Mine came from a church sale. The old dears said to me 'It doesn't have the Internet young man'. It turns out, after trying to connect it to my wireless, they were right." "A typewriter? What! That would be like buying a vinyl when you could pick up the MP3 version of the same album! Geez!" 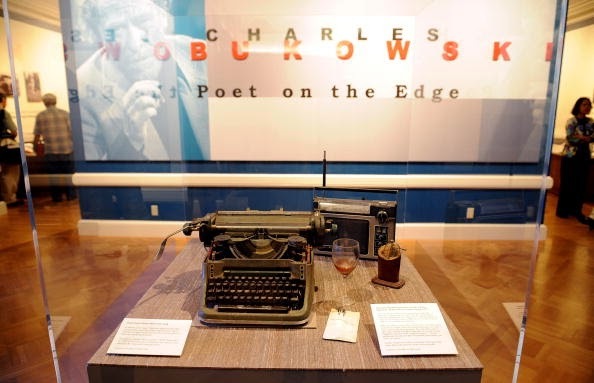 "I was in a lame anti-technology phase for awhile and I thought that learning to use a typewriter would somehow lend me some kind of authenticity. Of course, it doesn't work that way. But I let the hip romance of nostalgia sway me, and I bought a few. They are incredibly annoying if you're accustomed to a computer, but in and of themselves they work fine." 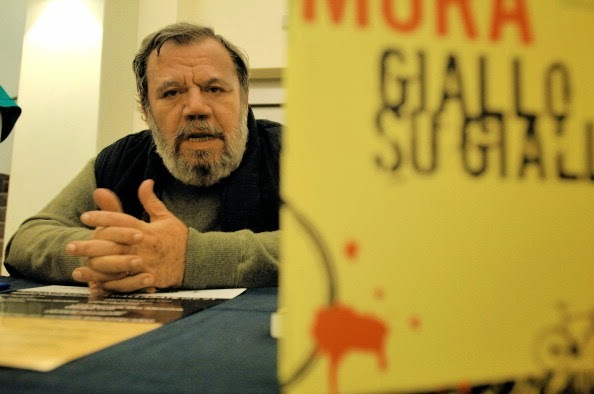 "I know some will see using a typewriter as pure writerly affectation but I would argue that, while I fit the hipster stereotype in some ways (the thick glasses, the coffee drinking, the book cover T-shirts) my typewriters are more than the ultimate hipster accessory." I’ve gone back to typewriting. On my typewriter. I know, I know. This affectation has puzzled friends and given my wife a rattling in the ears. But I keep finding new reasons to pursue it." on his Razon's portable, one month ago. "Hipsters, however, are apparently too young to realise what a pain manual typewriters really were. But then, hipsters never met an affectation too ridiculous to misappropriate. 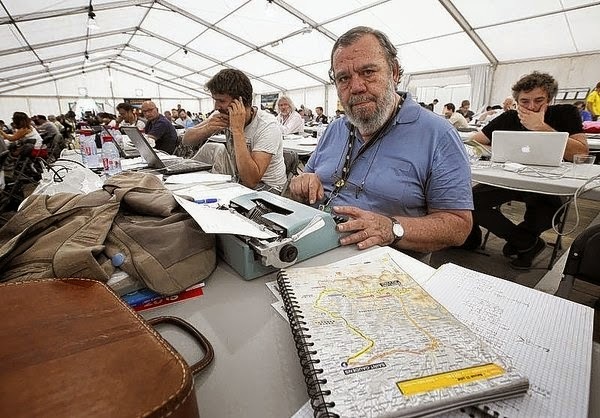 They’ve now embraced typewriters, bless their hearts. - Anon. "There was a guy I knew in college who used to live in the apartment above me. 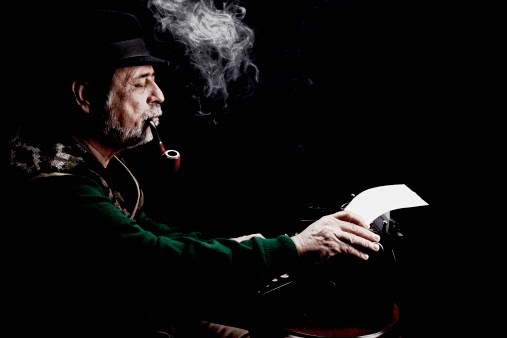 He wore Ascot ties, smoked a pipe, and wrote all his school papers on an ancient typewriter instead of a computer. The typewriter reverberated through his metal desk into the ceiling of my bedroom causing a constant WHAPPITY WHAPPITY WHAP to echo through my room whenever he was writing. The day I went up to his place to ask him to please accept my offer of felt pads to put under the legs of his desk, he answered the door in a smoking jacket holding a brandy snifter. I wanted to punch him in the face. 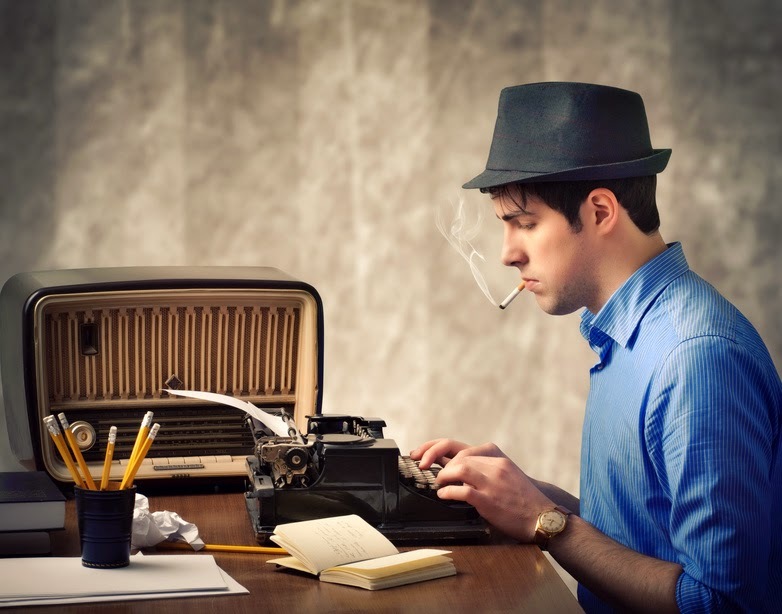 Every time I see a young dude smoking a pipe in public, I assume it's secretly my typewriter guy wearing a disguise, and I want to punch him in the face." - Anon. "Why would you bring a typewriter to a coffee shop? Seriously, you actually lugged an inconvenient object like that to look cool? Idiots." - Anon. In my post on the brilliant Irish movie Calvary, I referred to The Priest describing The Writer's use of a Royal Arrow portable typewriter in the isolated County Sligo hamlet of Easkey (population 240) as an "affectation". The exiled American replies to this comment by saying his whole life has been an affectation. The conversation is a warm-hearted one, despite the fact The Priest has come to deliver an old pistol, which The Writer has requested so he can shot himself. And it would seem that no ill-intent was meant by The Priest's casual observation on the use of typewriters. 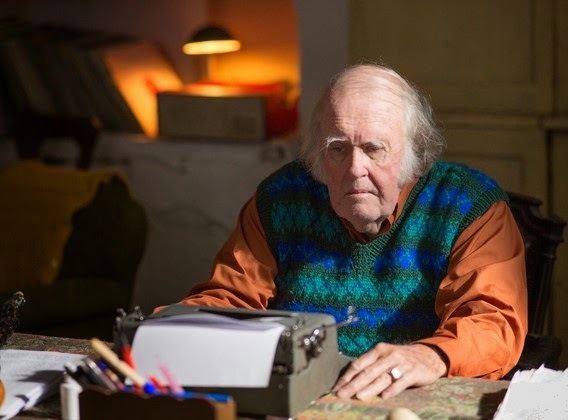 Indeed, as The Priest leaves The Writer's cottage, he offers a fulsome compliment on the M. Emmet Walsh character's writing ability. There can be no doubt about John Michael McDonagh's assertion here, one that a real scriptwriter can afford to put forward. 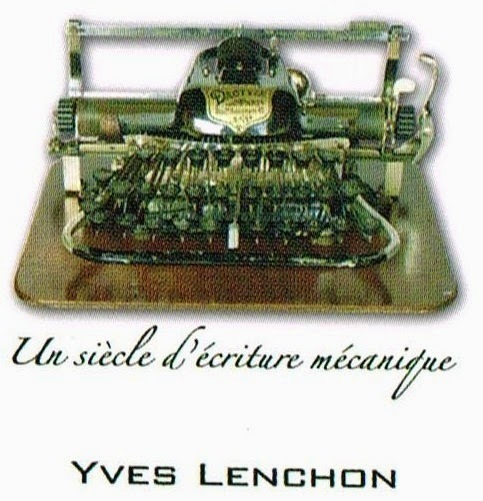 Using a typewriter does not a writer make; pretending otherwise, to one's self or to others, is affectation, pure and simple. 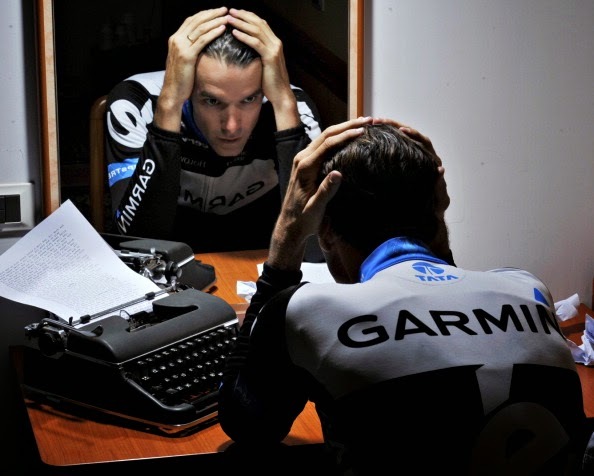 Anyone going through the mere motions of typewriting, and thereby calling themselves a writer, is just kidding themselves. 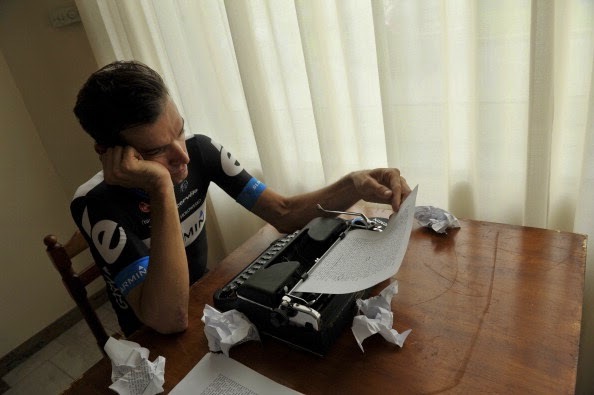 It's the typewritten that counts, not the typewriter. For all that, the Calvary exchange got me thinking, perhaps for the first time, about this suggestion that some people today do use typewriters as no more than an affectation. 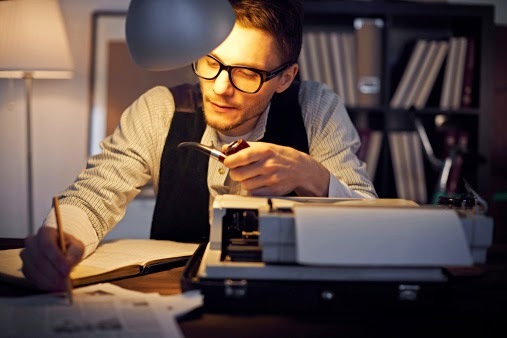 A bit ironic, really, since when the typewriter was introduced in 1874, some people considered it was affectatious to type a personal letter instead of handwriting it. "Ah to be sure though Father Lavelle, I'm writtin' the great American novel in Sligo in a cursive font, and that ain't affectatious at all, at all ..."
Initially, it was difficult for me to get my head around the notion of pretentious typing, or owning typewriters in order to create the impression of being a writer. But then I began to sense, from various requests and encounters, that perhaps such things are more prevalent than I might previously have thought. 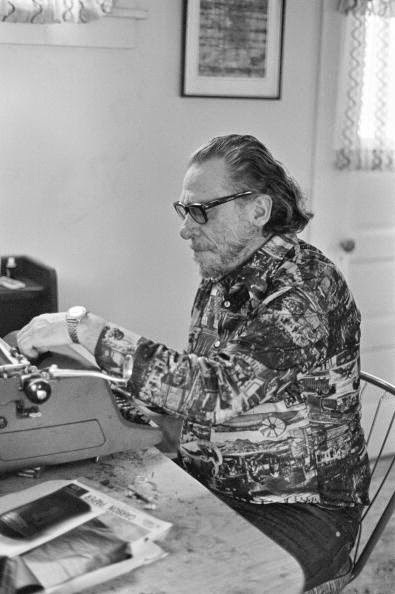 If there is a consensus to be had from the quotations above, it would be that "hipsters" with typewriters are generally thought to be inclined toward affectation. Personally I believe I belong to that category outlined in the Bukowski.net exchange as one who "grew up typing on them and it's a natural thing ..."
Still, when I first bought a vintage portable typewriter, an Imperial Good Companion at a bric-a-brac shop in Moruya some 14 years ago, my sole intention was to put it on display and not use it. It just looked too good on display and too good to use. Around 1499 typewriters later, I can safely say that only two - a Torpedo 18 and an Underwood Universal (from an auction in Chicago) - have come into my possession looking so perfect, in such pristine condition, seemingly untouched and unused, that I have been afraid to ever type with them. They have all been displayed, and the other 1498 have all been used. Some more than others, some because they were better to type with than others. Some don't look perfect, but are great to use nonetheless. The more one types, the more one understands typewriters and their foibles, and learns to appreciate them for what joys they all offer. 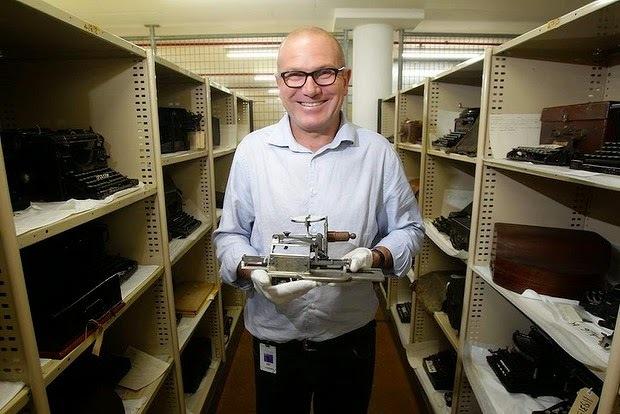 As I got into my serious collecting, I was guided along the way by Sydney politician Richard Amery. 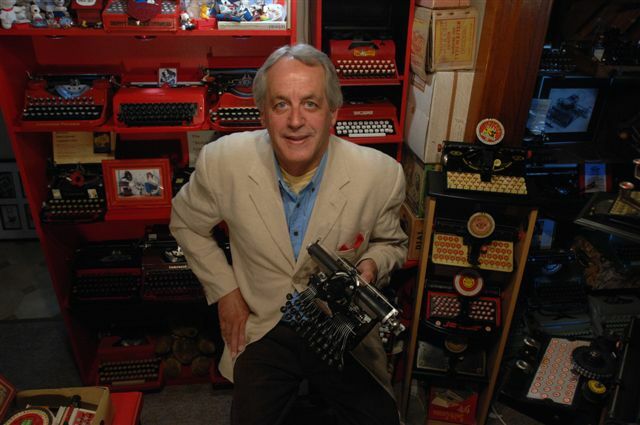 Richard had a pronounced influence on me and my attitude toward owning and using typewriters in the 21st Century. 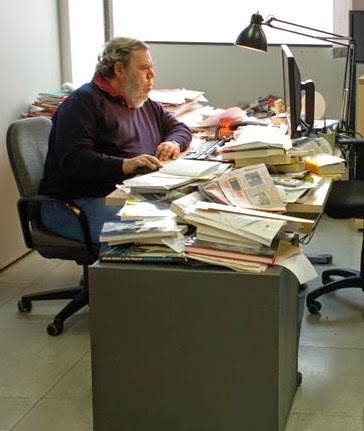 Richard could be classed as much more a user than a collector, though his collection runs to more than 120 typewriters. More to the point, there is not a single trace of affectation about him. 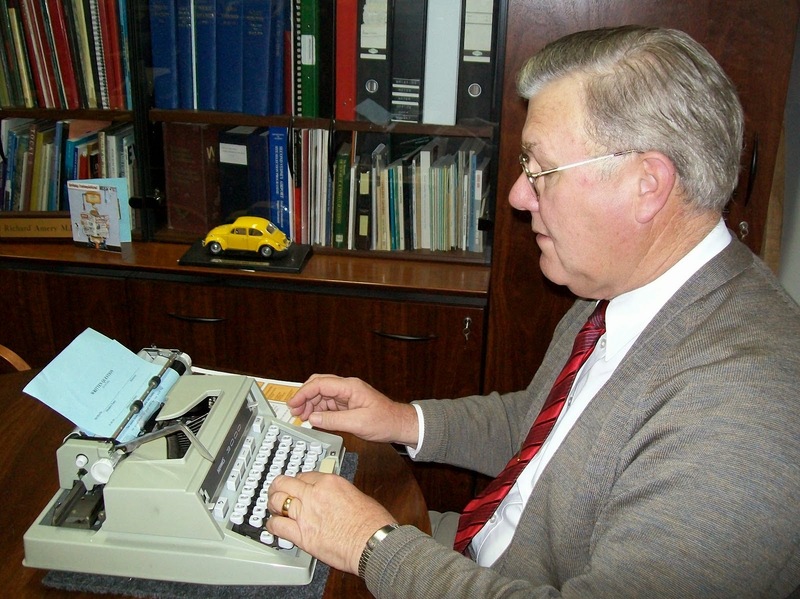 Though he has family connections with Burnley in Lancashire, Richard is quintessentially Australian: laconic, laid back, as honest as the day is long and totally devoid of bull***t. The suggestion that he would seen as affectatious in having and using typewriters in his parliamentary office, his electoral office or at his home, would seem as ridiculous to him as Burnley repeating its 1914 FA Cup final triumph over Liverpool. To be honest, I don't think I've ever encountered anyone, at least not in person, who uses a typewriter as an affectation, so the idea remains pretty foreign to me, too. What I have encountered, and found decidedly distasteful, are people who express an interest in typewriters, but whose only real interest is in acquiring them to sell at a sizeable profit. Online encounters with would-be buyers is a different matter. 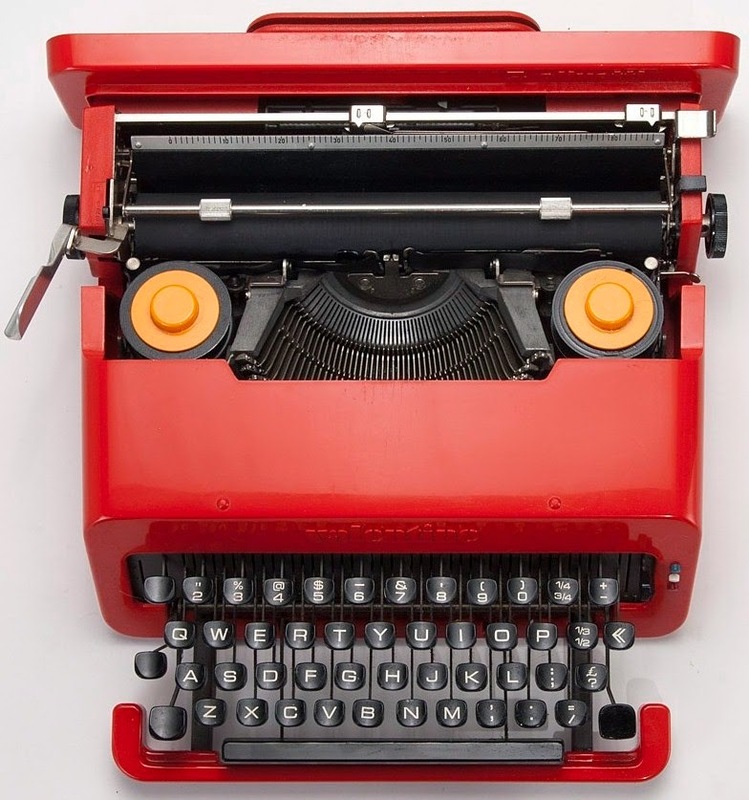 When I am approached by someone who wants a typewriter with a cursive font, and only a cursive font (no other type of typewriter will do) I do find myself wondering. Maybe it's just my prejudice against the cursive font, but it simply doesn't add up for me. If you handed in a copy written with a cursive font to an editor or Linotype operator, you'd have been told go back and rewrite it on a 'proper' typewriter. I do try to respond as positively and helpfully as I can to the vast majority of the requests I receive. However, when someone writes asking for typewriters that are specifically: "1. A Olivetti 22 in pink with italic font; 2. A Smith-Corona with vertical scripts font; 3. 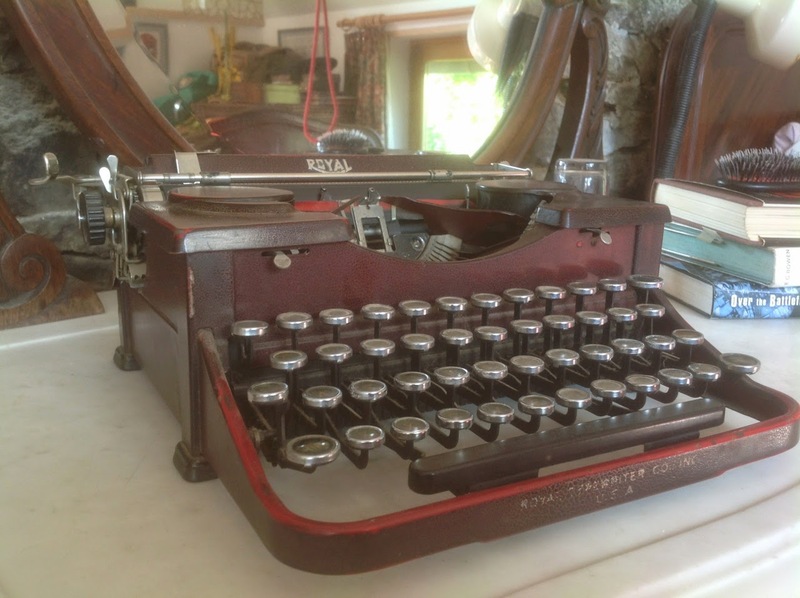 A Royal with the spencerian font" (I'm not making any of this up, someone really has asked me for help in finding these typewriters) I draw the line. What would other Typospherians make of such a request? My guess is that such bizarre orders are taken first, then typewriters are somehow found to meet them. 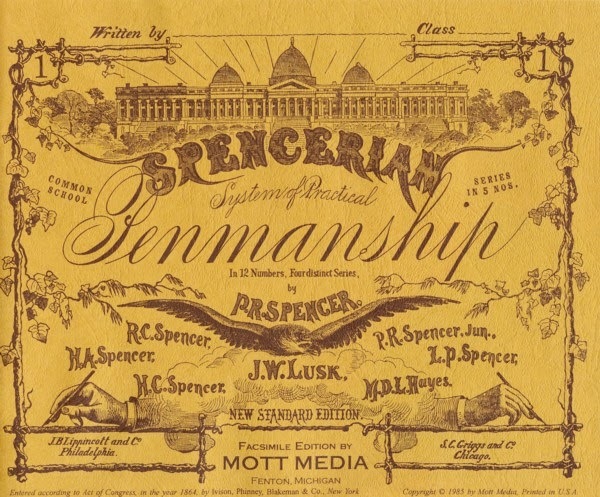 But, overwhelmingly, I am left asking myself: What the hell is the Spencerian font??? (Don't answer, I can actually hand write in Spencerian Penmanship. I'm just wondering whether any typewriter has ever been made with a Spencerian font.) Seriously, is this person for real, or just having me on? One thing I do know for sure. This person is not into typewriters, she's into the affectation of typewriters. And I'm really not interested in going there. 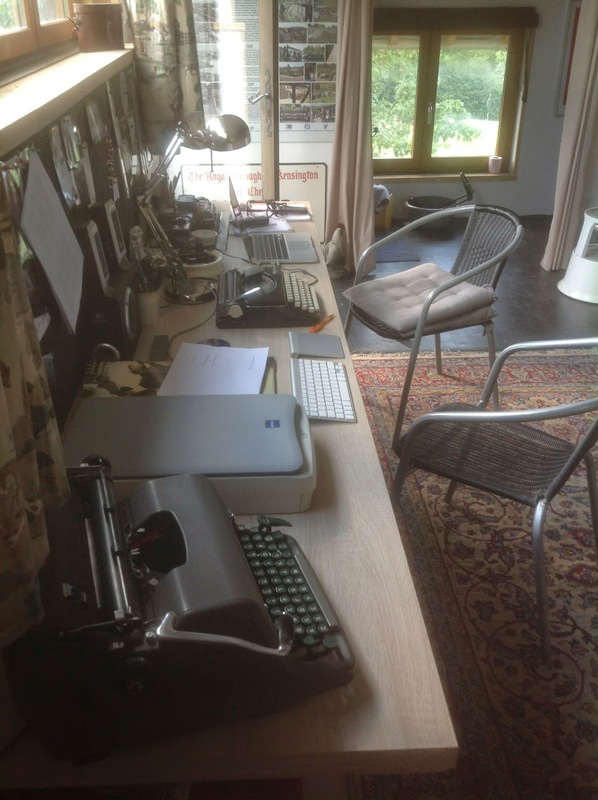 These three Adler portable typewriters - a Modell 32, a Klein-Adler 2 and a Favorit - will be flying like eagles to the home of a Melbourne typewriter collector, a wonderful young lady called Diane. One of them, the Klein-Adler 2, is a gift from me, in appreciation for Diane's past purchases, her courteous communications and her fulsome praise for the service she receives. Goodness, if only all typewriters buyers were like this! Nathan in Brisbane, take a bow, you are in the same boat. Where Diane and Nathan differ is that they know about typewriters and know about value for money. 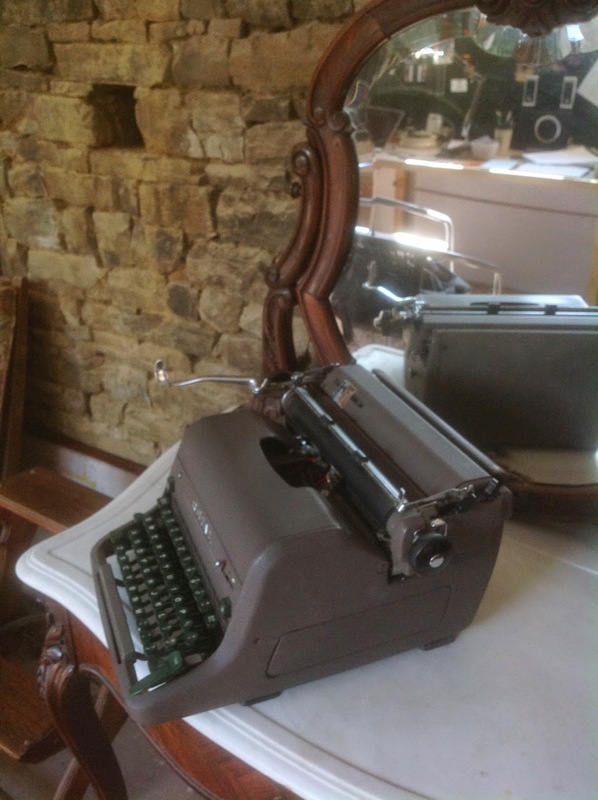 They appreciate good typewriters and have the nous to understand that these weren't made last month, they have been used for many years, and that when we say "perfect working condition", what we quite obviously mean is that a typewriter of this vintage works perfectly well for its age. Which is pretty good, all things considered. So Diane, I know these three Adlers have found a good new home. Thank you. 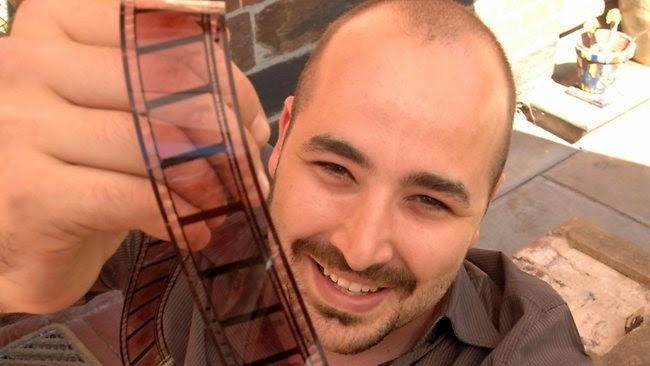 This very happy man is Anthony Maras, a well-to-do South Australian film director. No wonder he is smiling. He has received three very nice typewriters from me. Plus, just for doing that, he has been given a $225 bonus by PayPal. PayPal thinks it is going to get this $225 from me. It is very much mistaken. 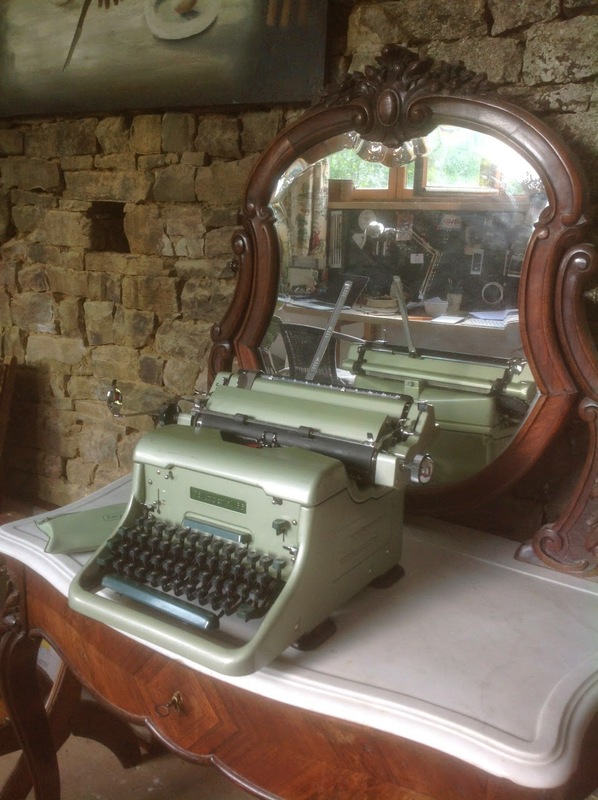 Perhaps if I got back my three typewriters - two Underwood portables and an Olivetti Valentine - I might consider paying PayPal the $225 it has given Maras. But PayPal won't get one red cent from me until then. My bank has given me a water-tight guarantee that any attempt by PayPal to illegally prize the money from my account will be quickly stamped upon. It's called fraud, the bank assures me. I trust my bank. I don't trust PayPal. Who does? A necessary evil? Well, maybe not so necessary. 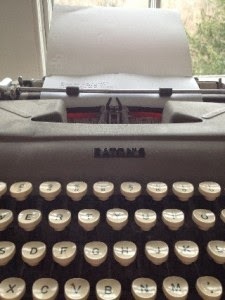 Seven months ago I was bombarded with text messages from Maras, pushing hard to buy typewriters from me. I had a bad feeling about it. I didn't sell him any. Then a month or so ago I listed 11 typewriters on eBay. 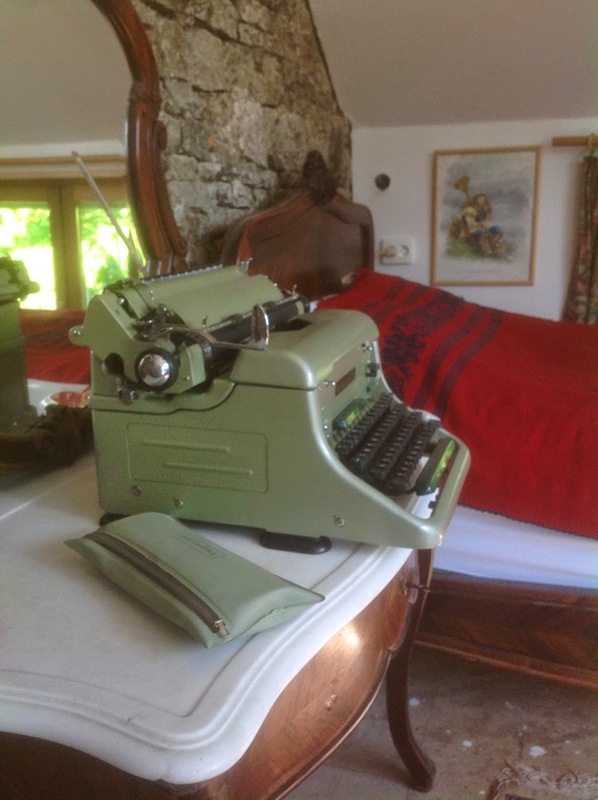 I received eight very warm responses from buyers, delighted with their typewriters. 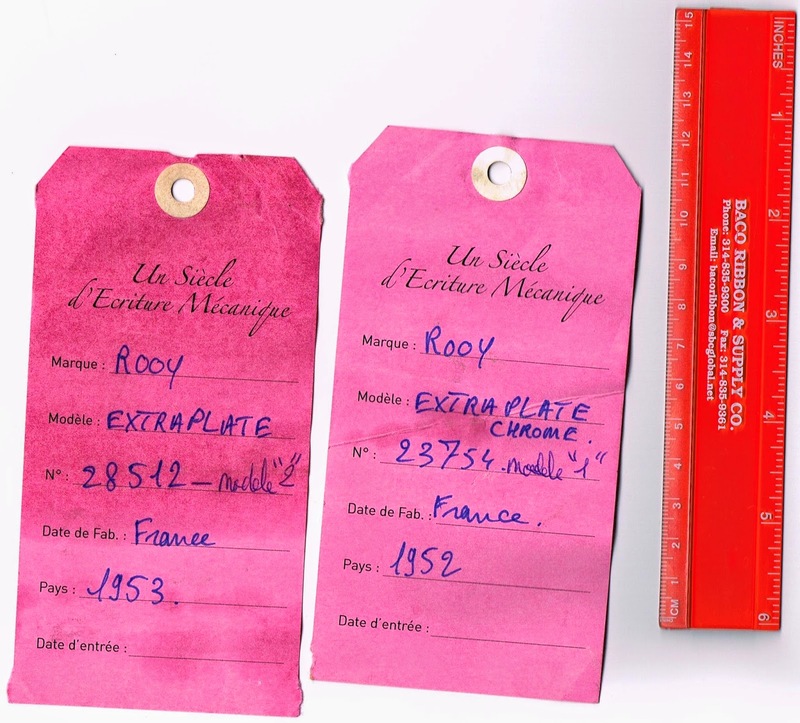 All 11 typewriters were serviced and tested the same way, packed the same way and sent the same way. These sales brought my eBay feedback record to 590 positives. In 4 1/2 years, not one negative, not one neutral. 590 positives. 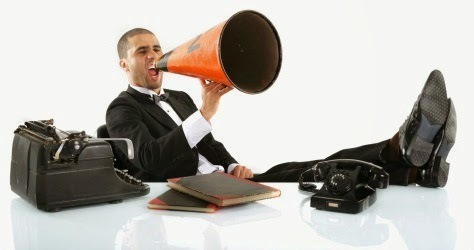 The latest feedbacks are: "Honest and reliable eBayer. Highly recommended. 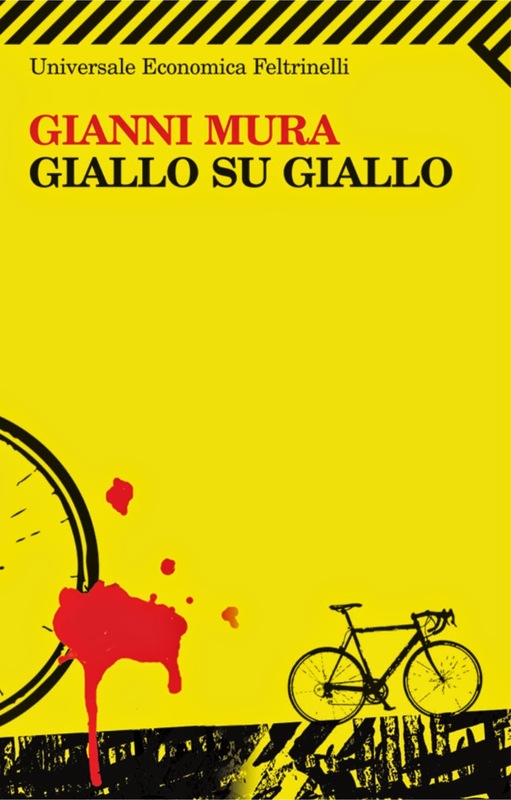 5 Stars." "Very nice typewriter." "Perfect, thank you." "Brilliant machine, this seller is the best. Thank you!!!" 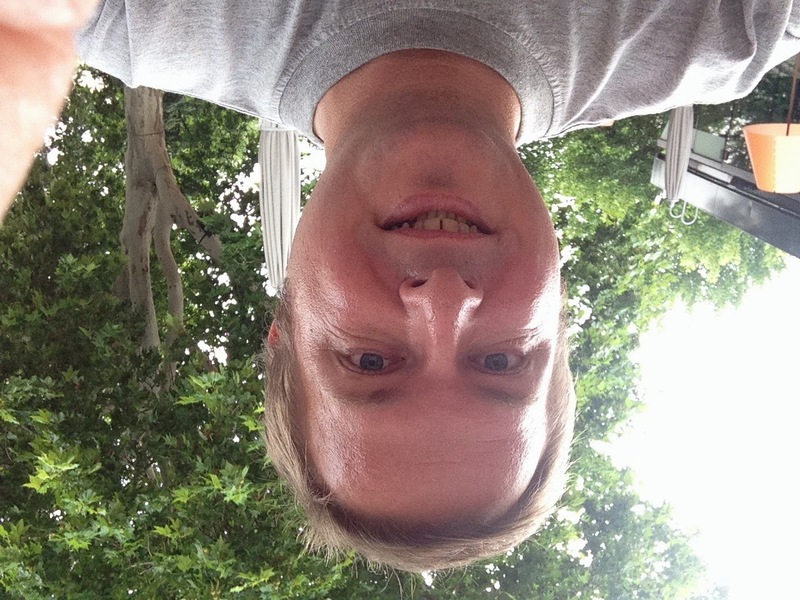 "Wonderful item, excellent friendly service. The best!!!" "Very hard to find quality product and service like this." Little did I know at the time of them selling, of course, but three of my typewriters went to this person - buying as "anthousefilms". As soon as I realised who this was, I sensed trouble. My gut feeling was soon proved right. First Maras emailed me, making spurious claims about the Underwoods and wanting to return the three typewriters and to receive a refund. As I mulled this over, he called. He said there was a problem with one of the Underwoods typing and that he'd spoken to a repairmen, who wanted to be paid just to look at it. I offered to pay for that to happen, and Maras replied, "Ah, so you're admitting there is a problem." At that point the penny finally dropped. I'd called his bluff. But I'd already been well and truly set up. An elaborate, well-planned and well-executed sting. A get-square. 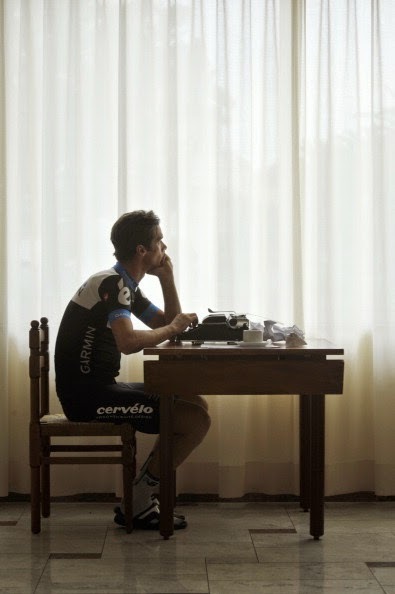 There is nothing wrong with any of the typewriters. But if I had paid for a repairmen to look at them, I would find that out. And Maras didn't want that to happen. This was one of the points I made to PayPal when Maras opened a dispute. He claimed $225. PayPal arbitrarily helped itself to $350 from my account. Or so it said. I have long since known to keep $0.00 in my PayPal account. PayPal has a long, sorry record of not being trustworthy with other people's money, so I don't allow it the opportunity to get anywhere near any of mine. I knew I was on a hiding to nothing arguing the point with PayPal. Sure enough, I was told last night I'd lost. Surprise, surprise! Some time ago, I received a badly wrapped resin figurine typewriter smashed to bits. It was only $40, but I opened a dispute. PayPal insisted I re-wrap the bits and pieces and send them back to the seller. I did. That cost me $15. Then I got my $40 back. I was still $15 out of pocket. All because a seller couldn't properly package a resin figurine typewriter. So I'm left wondering: How come Maras gets to keep my three typewriters plus gets a $225 bonus, allegedly from me? So I send him three typewriters, plus $225? Tell me how that works, PayPal. And while you're at it, I'd really love to know exactly what was the "careful consideration" you gave this dispute. Did you look at my eBay feedback record? Did you see the three typewriters in question? Did you test them? No? So it's his word against mine? OK. So on what grounds did you decide to believe him and not me? I'd dearly like to know. Anyway, enough of all that. No more selling on eBay and no more using PayPal for me. It'll make my life difficult, but I'll have to find a way around it. 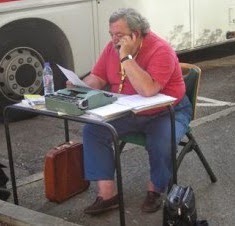 Selling typewriters is the only way I can supplement my pension. I get $900 a fortnight pension and pay $600 rent. That leaves $300 to live on each fortnight. Nowhere near enough. Until now, I've managed to get by through selling typewriters. PayPal and Maras want to put an end to that. I wonder how proud of themselves they must feel? Footnote: There is a cruel twist to all this. Some may recall I had recommended a repairmen to Ray Nickson to get his Underwood Noiseless 77 fixed, and the Underwood was wrecked by the repairman. 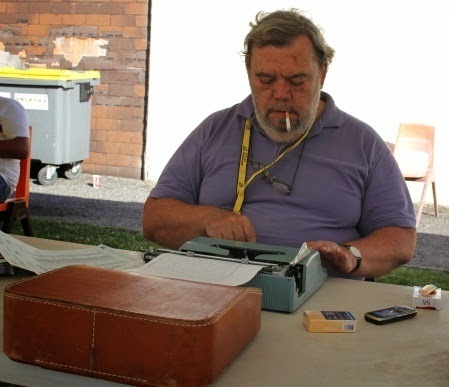 It was Ray who met Maras in Adelaide last year and told Maras about my typewriters. Don't worry, Ray and I remain on the very best of terms. 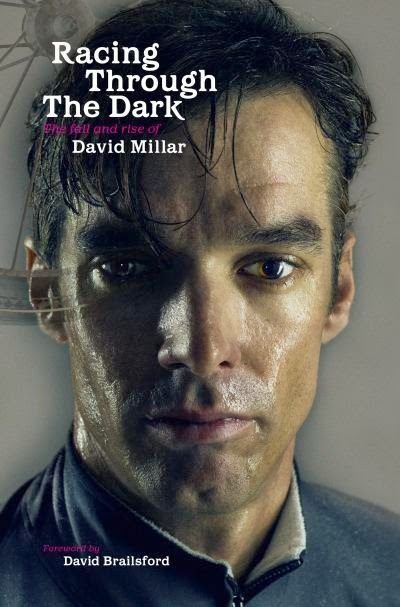 Footnote 2: I guess you could call this the revenge of the Australian filmmakers. Late last year I won $120,000 damages in a defamation case against a Melbourne filmmaker, who wrote that I was a member of the Klu Klux Klan. Of course, I never saw a cent of the money. But I wonder ... do filmmakers in this country collaborate?